This is my favorite part of participating in conferences like the NABSHOW. The thousands of people roaming around checking out all the exhibits and attending the sessions. The outcome of all that is A LOT of people tweeting about their experiences and excitement of what they have seen. 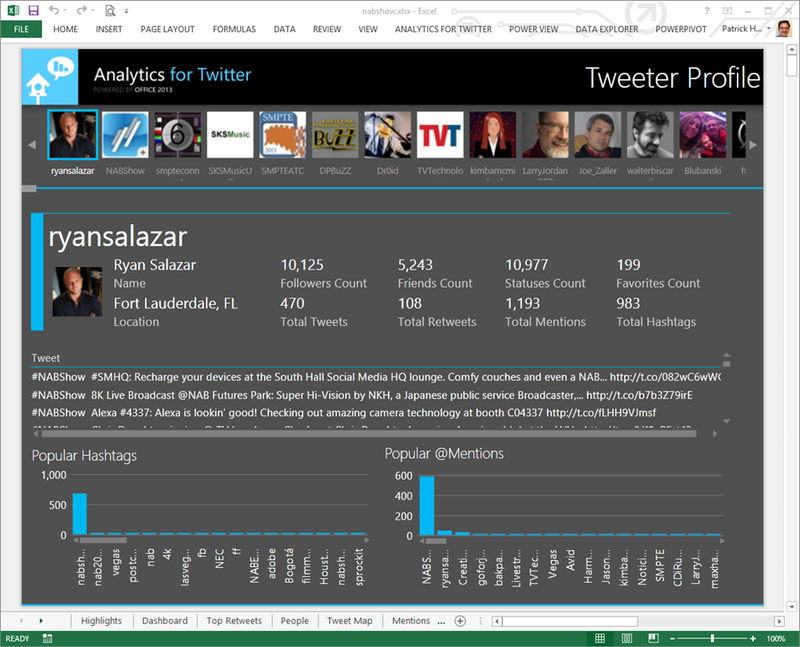 Below is just a small snapshot of insights utilizing our Twitter Analytics for Excel add-on. I doubt you’ll see any other analytics company doing this. The add-on is FREE and you can download it here courtesy of Extended Results. Please follow us on Twitter and if you have any questions, please feel free to email me!